Our organically crafted Hyssop Hydrosol is steam distilled from the handpicked, deep purple flowers of the Hyssopus officinalis var. decumbens plant growing wild in the rocky hillsides of Spain. This hydrosol has a lovely, herbaceous and sweet aroma. The hyssop plant has been traditionally used since ancient times and is still considered an important medicinal herb by herbalists today. It is most often affiliated with supporting the lungs and healthy respiration, but it is also believed to be very cleansing, purifying, and supportive of the digestive system, as well. Hyssop Hydrosol has properties that can help open the airways, relieve coughs, and chest congestion. It can be used in a compress and placed over the lung area to help soothe and cleanse the lungs. Hyssop Hydrosol also has antiseptic and antimicrobial properties and is widely used as a room spray or added to a diffuser to cleanse the air, helping to remove unwanted germs from your living spaces. Hyssop Hydrolat can also be useful for promoting healthy skin as a very purifying and hydrating toner that can be used on all skin types. Emotionally and energetically, Hyssop Hydrosol cleanses, strengthens and invigorates the mind, fortifies against negativity, helps with mental clarity, and improves concentration. 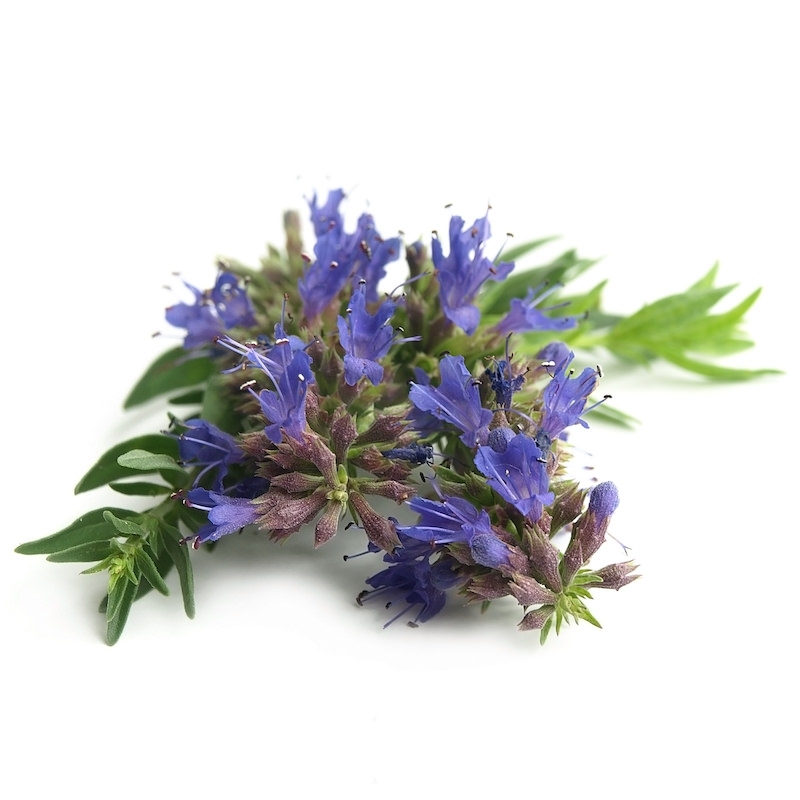 Hyssop Hydrosol is also useful for helping manage situational or seasonal depression making it a great addition to any holistic healing collection.